In the 10 months since the U.S. Supreme Court struck down PASPA, the federal ban on sports betting, last May, the five major U.S. pro sports leagues have now each made their first official betting partnerships. In August, the NBA announced MGM as its first official gaming partner. In October, the NHL did the same. In November, Major League Baseball also went with MGM. In January, the NFL went a different route, naming Caesars its first casino partner. 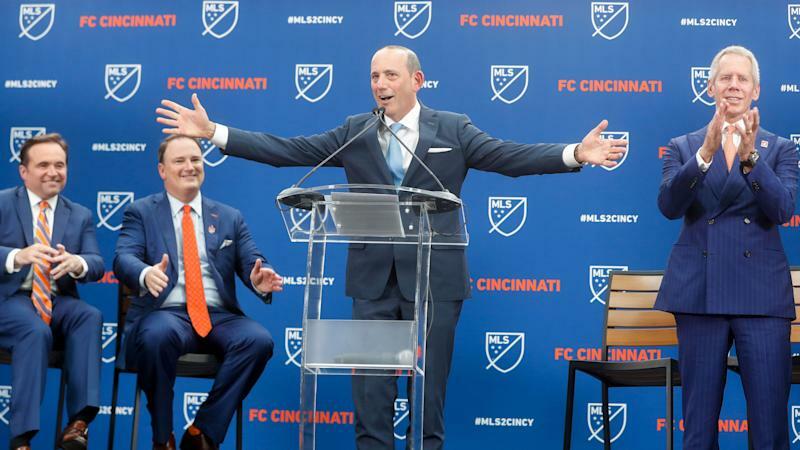 Now Major League Soccer has also aligned with MGM. MLS has signed a four-year deal making MGM the league’s "first official sports betting partner," Sports Business Journal first reported on Monday, and an MLS spokesperson confirmed to Yahoo Finance. The deal does not include exclusivity for MGM, meaning that MLS is free to eventually sign partnerships with other casinos as well. The same is true for the other league deals with MGM. So you might reasonably ask: what’s in it for MGM? With each league deal, MGM gets the marketing rights to tout itself as the “first official gaming partner” of the league it has partnered with, which also includes use of each league’s trademarks and logos in marketing. That marketing will include field-level signage at MLS stadiums and activation at big events like the MLS All-Star Game and MLS Cup. Think of it as a head start for MGM over its casino competitors. Major League Soccer is opening its arms to legal betting in other ways as well. MLS doesn’t currently allow betting companies to be jersey sponsors of teams. But Gary Stevenson, president of MLS Business Ventures, tells SBJ that the league is considering changing that rule. And last month, MLS expanded its partnership with Amazon-owned streaming platform Twitch to live-stream the eMLS Cup, an esports (competitive video gaming) tournament in which competitors play the EA Sports game FIFA. While esports is estimated to be a $1 billion industry by revenues, betting on esports was estimated at $6.7 billion in 2018 by Eilers & Krejcik Gaming, so any step a pro league takes to embrace esports is a closer to step to betting. MLS Commissioner Don Garber, speaking to Yahoo Finance in 2017, six months before the landmark SCOTUS decision came, suggested MLS could actually lead the charge for legal sports betting among the U.S. pro leagues.